The Wayfinding Research has launched ViRtOUS (Virtual Reality User Orientation System). 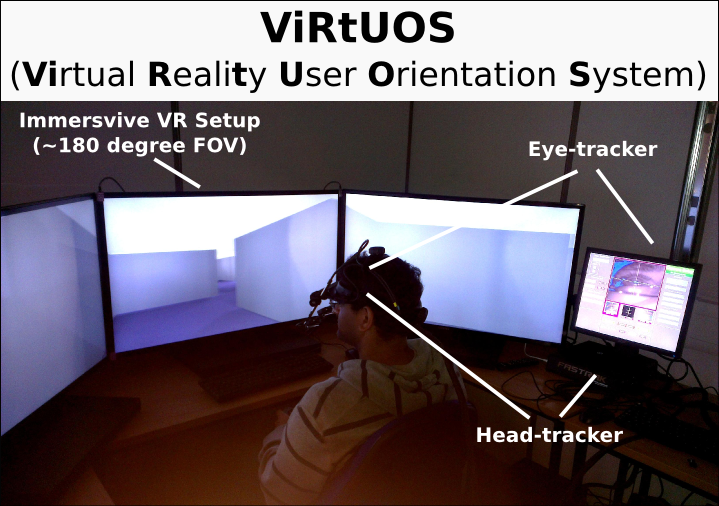 ViRtOUS is a new state of the art research platform combining immersive virtual reality technology with eye tracking and motion tracking. ViRtOUS allows to track people’s gaze as they navigate virtual environments and will be used in research investigating cognitive strategies and processes involved in wayfinding and navigation.